After silver and gold were discovered in 1863 along what is now Jordan Creek in Idaho's Owyhee Mountains, a mining boom erupted in southwest Idaho, and several towns were created in rapid succession. Ruby City was one of them. While Ruby City was not the first town, it became the first official city and Owyhee County's first county seat. As such, it boasted a sheriff, lawyers, a post office, a newspaper (the Avalanche), mercantiles, smiths, and miners--possibly thousands of them, working in the lodes on War Eagle Mountain. So popular did the area become that in 1865 a stagecoach ran to Ruby City from Chico, California, at a cost of fifty dollars. (An additional sixteen dollars provided a bedroll and "provisions.") Forty men made the first trip, and it took twenty-seven days to complete. The town thrived despite the high costs of living there: supplies had to be hauled to Ruby City's 6,200 foot elevation and prices reflected the inconvenience (hay, for example, sold for between $100-$300 a ton). Existing trails weren't easy, and while entrepreneurs named Sam Skinner and Colonel Fogus built better roads, they charged for the use of them. Men outnumbered women by 200 to 1 at one point, and the men were eager for entertainment. Traveling troupes of dance hall girls, called "Hurdy Gurdy Girls," came through on occasion, and a dance with one of the German or Dutch gals cost fifty cents. So did a drink for the lady, and while the man buying it might think it was whisky, the women really drank tea. Aside from dancing, other entertainment came through town, from circus acts to famous performers like John Kelly, a violinist, whose songs brought tears to the miners' eyes. Also passing through town were circuit preachers and Catholic missionaries, as no church existed until one was built in Silver City in 1869. During the winter, when the weather made it difficult for visitors to pass through, the men kept busy by gambling and challenging each other to winter sports. According to a newspaper article, the record for skiing down Florida Mountain to Ruby City was twenty-eight seconds. Residents who could afford more than a tent built wood homes and businesses. One of them was the Idaho Hotel, built in 1863. In 1866, a third story wing was added to accommodate more guests. In 1864, however, a new town was laid out a mile away: Silver City. It was closer to the mines and out of the wind that sometimes swept through Ruby City. By the end of 1866, the decision was made to transfer the county seat from Ruby City to Silver City. Folks started to move from Ruby City and bring their homes and businesses with them. The Idaho Hotel was dismantled, and its pieces were loaded onto sleds, pulled by oxen through the snow to its new home in Silver City, where it stands today. While Silver City is now a ghost town, visitors can still stay at the Idaho Hotel during warmer months. Since so much of Ruby City was dismantled and moved, nothing really remains there today beyond some white stone markers in the cemetery and a sign noting where it stood. In fact, the site of the town has all but disappeared since the area was used for hydraulic placer mining. But the raw beauty of the place is still there to be enjoyed for those who step off the beaten path in search of Ruby City. Speaking of rubies...what's your favorite gemstone? 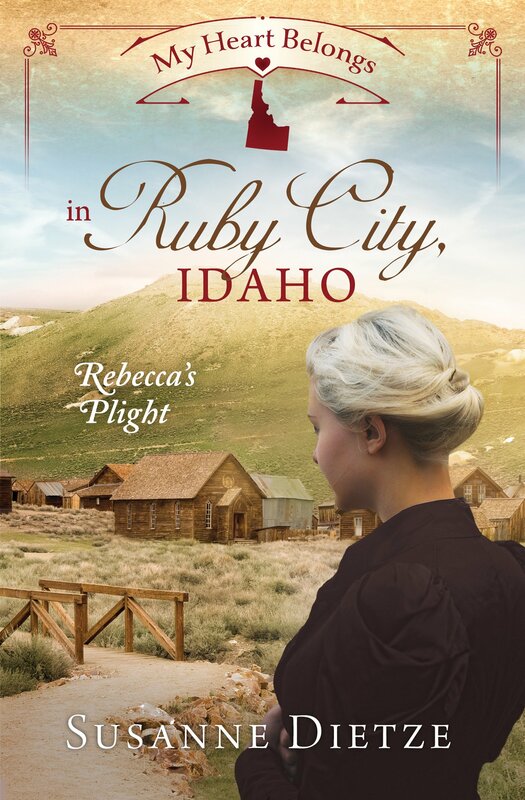 Comment with a way to contact you in the comment by 11:59 pm May 6, to be entered to win a copy of My Heart Belongs in Ruby City Idaho: Rebecca's Plight! Looking forward to a quiet life and a full stomach, mail-order bride Rebecca Rice is pleased to marry her shopkeeper intended, Mr. Fordham, until the justice of the peace calls him Thaddeus, not Theodore—proceeded by the title Deputy. Is it possible to marry the wrong man? When the newlyweds realize they’ve married the wrong partners with similar names, an annulment seems in order—and fast, since Rebecca’s true intended is impatient to claim her as his own, not to mention Rebecca would never marry a lawman like her father. But when the legalities take longer than expected, Rebecca wonders if Tad wasn’t the right husband for her all along . 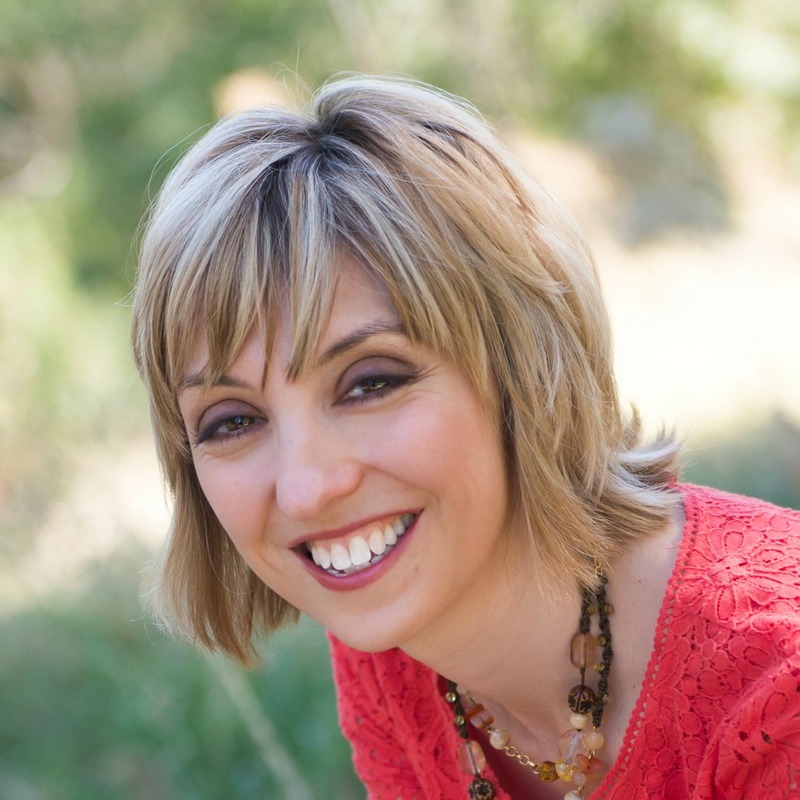 . .
Susanne Dietze began writing love stories in high school, casting her friends in the starring roles. Today, she's the award-winning author of over a dozen historical romances who's seen her work on the ECPA and Publisher's Weekly Bestseller Lists for Inspirational Fiction. Married to a pastor and the mom of two, Susanne lives in California and enjoys fancy-schmancy tea parties, genealogy, the beach, and curling up on the couch with a costume drama and a plate of nachos.You can visit her on her website at www.susannedietze.com, and enter a contest this week to win the book and a prize pack! Very interesting post! I knew about Silver City, but had not heard of Ruby City. Thanks for sharing. BTW, my favorite gemstone is Emerald. I'm a May baby, and love my birthstone. Happy birthday this month, Linda! I like emeralds, too. Isn't it interesting to think some of the buildings in Silver City used to stand in Ruby City? Moving them must have been so difficult! While technically not a gem, I love the amethyst color and it can be used as a gem. Thanks for the history lesson and the giveaway. Good luck everyone. Hi Debbie! Oh, I love amethysts. Rich, deep purple is so pretty. Thanks for coming by to enter the contest! Thank you for your very interesting post, Suzanne. The garnet is such a deep, beautiful color and certainly one of my favorites. Garnets are gorgeous, aren't they? Red is my favorite color. I've seen a "raspberry garnet" before and it was stunning, a pink tinge to the red. Thanks for entering the contest and saying hi! I forgot to mention in the post that I need a way to contact the winner, so from here on out, if you can include your email address (safely) that would be great! Thank you! I'll change the post so it reflects that too. As for the earlier commenters, no worries, we will work it out. Interesting post. I love Sapphire! I love blue and always liked sapphire. I even named my stove Sapphire because the inside of the oven is a deep blue. Hi Karen! Wow, your stove sounds amazingly pretty! I've never heard of a stove with a deep blue interior. Sounds lovely. Thanks for coming by! You're entered into the contest. My favorite gemstone is emerald, which is also my birthstone. Happy May birthday, Susan! Hope it's a great day. Thanks for your interest in the book! You're entered into the drawing. I've always liked aquamarine, which is my birthstone. Great history about Ruby City and then moving some of the buildings to Silver City would of been a great untaking. Suzanne, your book "My Heart Belongs in Ruby City" sounds like a page turner and delightful read. Thank you for the giveaway. Thanks so much for your kind words, Marilyn! I hope it's something you'd like to read. You're entered into the drawing! Oh, and aquamarines are gorgeous. Love the color! Diamonds go with everything!!! Beautiful! Thanks for coming by. You're entered into the contest! I love them, too. Just gorgeous and they truly go with everything. So glad you came by today! Susie, congrats on your release! I love emeralds! Thank you so much! You're entered into the drawing. I love emeralds, too. But I don't own any! Maybe someday. I love my diamond engagement ring but I don't have to have more. I have always liked rubies and I also like an Opal. Suzanne, I loved learning about Ruby City and I hope to read your book soon! Hi Connie! Thanks so much for your kind words. I'm glad you enjoyed learning about Ruby City! I like rubies, and opals are so pretty. I love how they change in different angles and lights. Thanks to all who entered! I hope you have a great week.